Wisdom teeth extraction post-op: It was a rough weekend. Despite the fact that I had a pretty smooth recovery — minimal pain & swelling — I was still experiencing a fair amount of discomfort which made it difficult to eat non-soft foods. However, I had a huuuuge urge to bake something — but it had to be something sweet (cause I love sweets), semi-soft (because I just got 4 teeth pulled), and delicious. I’ve been wanting to try a recipe that was given to me by my friends’ (Lauren & Ali) kind mother and so I figured it would be the perfect time. 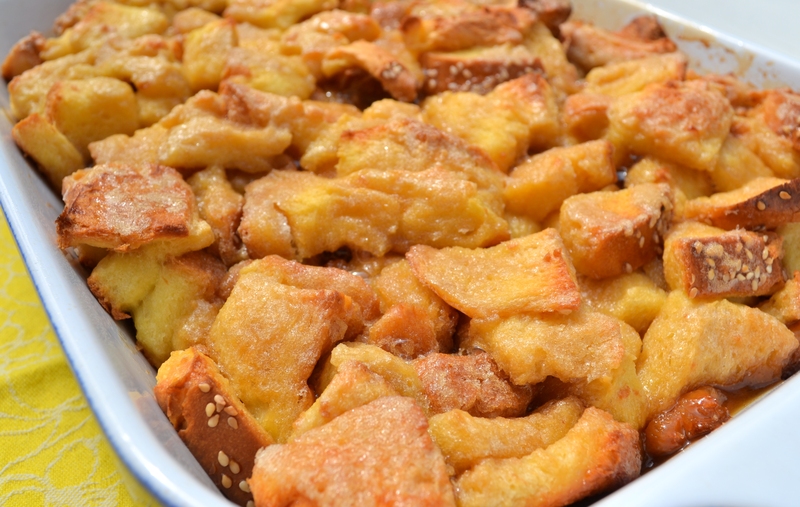 I cubed a loaf of challah, while my boyfriend combined eggs, vanilla, and milk in a large bowl. I gave him the cubed bread and he dumped it into the egg mixture and mixed it all together, like a pro! Then we covered the bowl in saran and let it sit in the fridge overnight. The next morning, my boyfriend almost left before baking the casserole. Crazy, eh? But then I told him I’d make him a delicious vegetable omelette and he agreed to stay just a little longer (he’s not so big on sweets in the morning — weird). 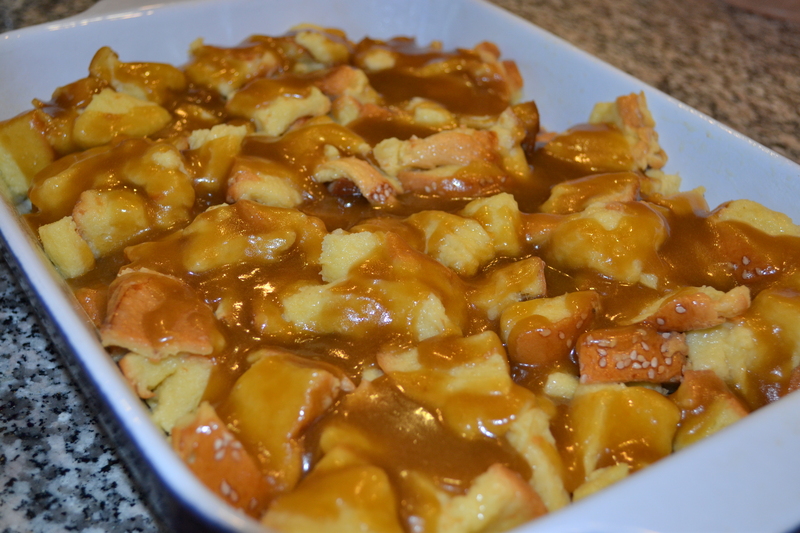 Next step: I mixed together brown sugar, maple syrup, and melted butter and drizzled it over the bread mixture. And it was ready to bake. After 45 minutes at 350°F it looked something like this. 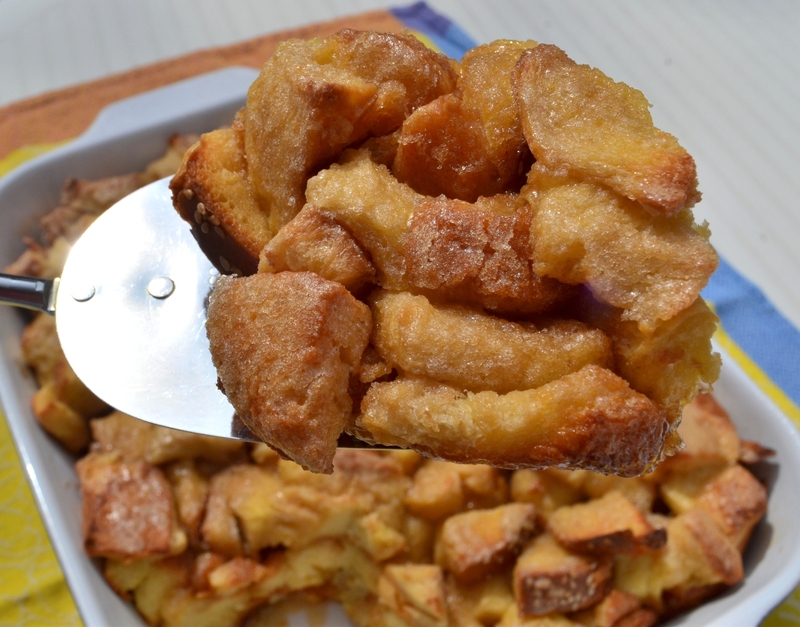 Golden, crispy, and just the right amount of sweetness. 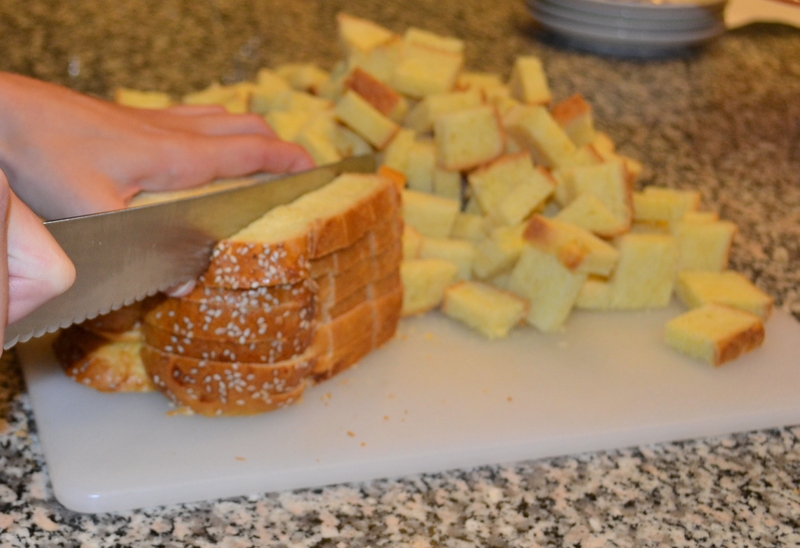 Slice bread into 1-inch cubes. Combine eggs, milk, and vanilla in large bowl. 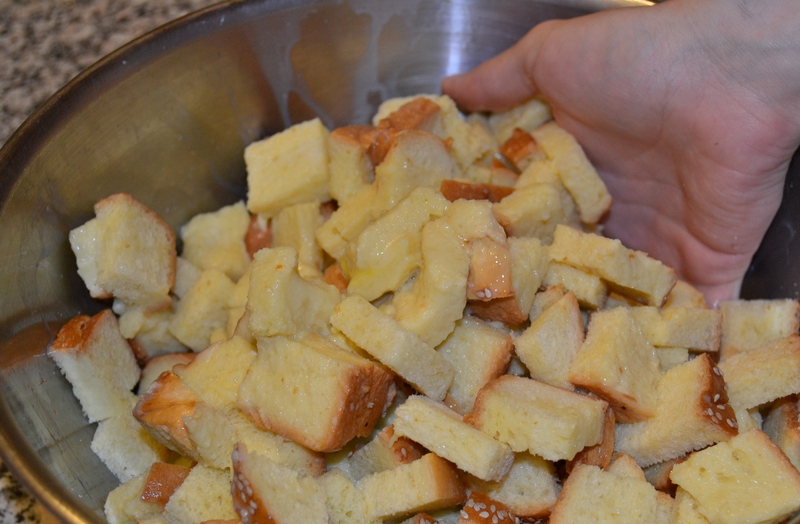 Add bread cubes to egg mixture, mix well, cover with saran and refrigerate overnight. The next morning: Preheat oven to 350°F. Place bread mixture in 9 x 13 inch greased baking dish. 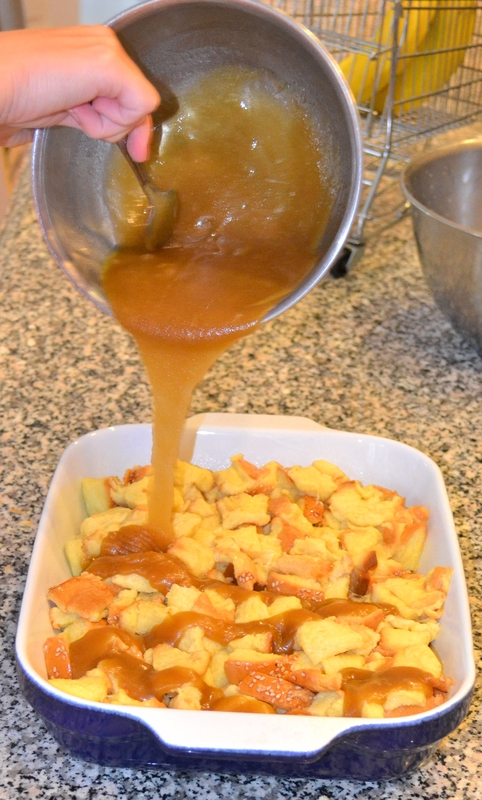 Combine sugar, syrup, and butter and drizzle over dish. Bake in oven for about 40-45 minutes until golden and puffy. Yummy! 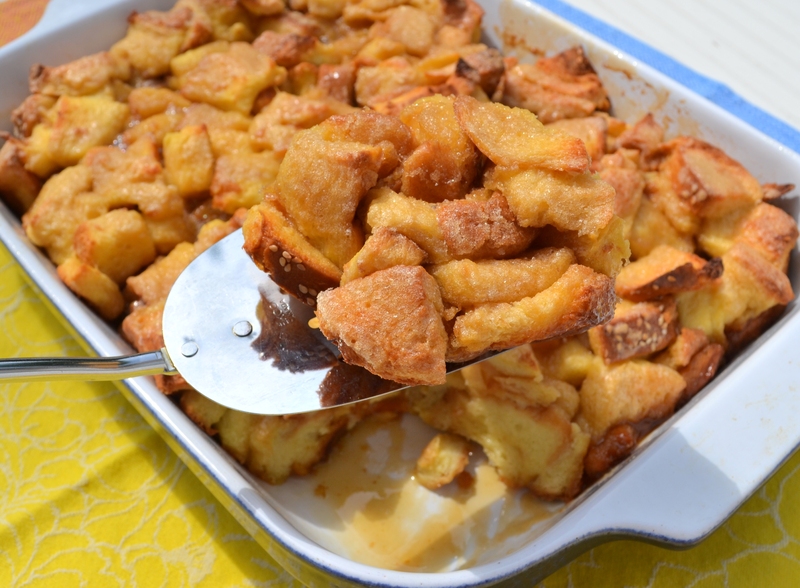 I’m going to make french toast casserole. Hopefully it will turn out well. Will let you know!